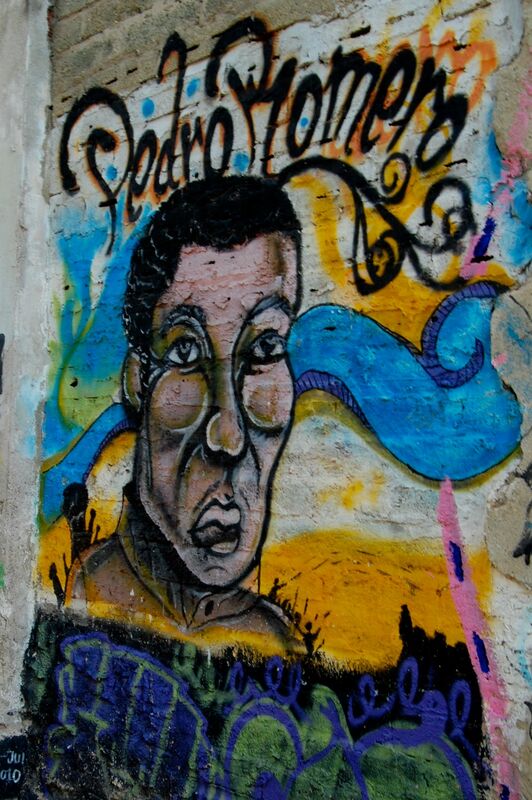 For a few blocks near the Plaza de la Santísima Trinidad in the Getsemaní neighborhood of Cartagena, Colombia, the legend of Pedro Romero lives. 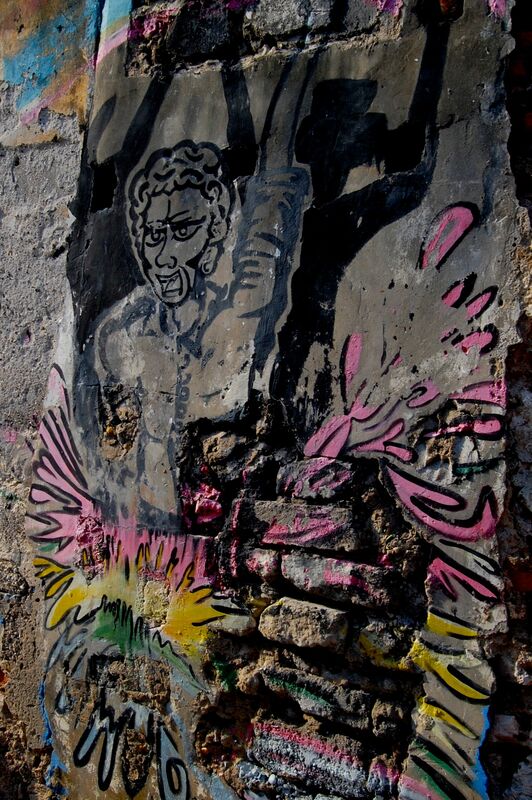 On the streets surrounding the plaza and its church, elaborate works of street art adorn the walls paying tribute to Pedro Romero, the hero of Cartagena’s independence movement for the people of Getsemaní. Born in Matanzas, Cuba in the 1740s, Pedro Romero was a free man of color, likely of mixed African and European descent. Though little is known of Romero’s early life, he worked as a gunsmith and master blacksmith in Cartagena’s arsenal in the late 18th and early 19th centuries, and also ran a foundry at the entrance to the barrio of Getsemaní, home to the many of Cartagena’s slaves and free people of color. In 1810, José Ignacio de Pombo described Romero and his son by stating “We have in the master Pedro Romero, and his son Stephen, two intelligent artists in this profession [Blacksmithing], or better yet, two intelligent men that the force of their genius…has elevated to a degree of perfection and delicacy that is truly admirable.” As an artisan, Romero had significant contact with Cartagena’s white creole and Spanish elite (particularly in the form of military contracts), allowing him to establish a reputation for himself in Cartagena as a respectable pardo. It was likely this reputation as a well-respected, influential, and honorable pardo that led local cabildo leader José María García de Toledo to enlist Romero’s help in raising a militia of Getsemaní’s free people of color “of worth and resolution” in 1810. [iii] García de Toledo wanted to know he had the support of Cartagena’s popular classes—a crucial consideration in a city where people of African descent were the majority—in his attempt to overthrow Cartagena’s Spanish governor Francisco Montes, as support for increased political rights and independence in the city grew. Though Romero had managed to do well for himself under Spanish colonial rule, he eventually “became convinced” of García de Toledo’s plan, and took the lead in organizing the “Patriot Lancers of Getsemaní” in May of 1810, and soon after, Cartagena’s free people of color and lower classes began to assert their demographic power within the city. In June, Romero’s Lanceros, along with similar groups from other barrios, demonstrated in front of the Governor’s palace as the cabildo ordered the deportation of Governor Montes, accusing him of conspiring with France and threatening regional security by favoring Spaniards over creoles. No doubt impressed (or even intimidated) by the popular mobilization of the city’s people of African descent, Cartagena’s Spanish troops acquiesced to the decision. Cartagena’s people of African descent demonstrated a growing anti-Spanish and anti-authority sentiment over the following year. When the Council of the Regency, who had been acting in the name of King Ferdinand in his absence, sent a new Governor to Cartagena to replace Montes, the city’s lower classes, including a large number of slaves and free people of color, attacked Spaniards and their supporters and surrounded the Palace once again, this time to ensure the cabildo would not allow the new governor to enter into the city. 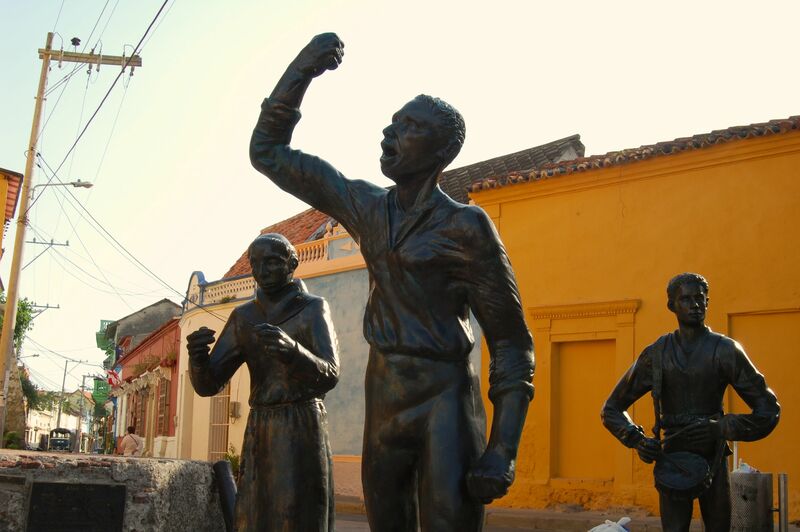 Cartagena’s people of African descent played a crucial role in the movements for independence in Cartagena. In a region where fears of pardocracia—that free blacks would use their demographic power to expel whites, dominate the channels of political power, and turn Caribbean Colombia into the “next Haiti”—were constant among the white elite, the prominent military role played by Cartagena’s free people of African descent seems surprising. The dominance of artisans in the black militia suggests that some free people of color used employment as artisans and militia service as a way of differentiating themselves from the black lower classes and of gaining social recognition as respectable members of their communities. White elites, meanwhile, likely viewed these respectable pardos as capable of supporting the independence movement (thought free people of color had their own expectations of what independence would bring), as well as of subduing lower class blacks in the city. In Cartagena, like elsewhere in the Atlantic World, free people of color used any means available to them—work, militia service, voluntary organizations—to establish identities and reputations for themselves as respectable, honorable, and virtuous members of their communities in order to challenge the notion that free black mobilization was a destabilizing influence and to challenge as well the abiding commitment to white supremacy among the white elite. For the people of Getsemaní today, Pedro Romero occupies an almost a mythical status. The street art that covers the walls near the Plaza de la Santísima Trinidad, as well as the statue of Romero in that Plaza outside the church, are a testament and a reminder that Cartagena was at the forefront of the independence movement in Nueva Granada, and its declaration of independence was achieved in no small part thanks to the city’s free people of color, organized by the leadership of Pedro Romero. Pingback: June Filmanthropy: Street Heroines | Picture Motion | making sure the films that CAN change the world – DO.